The vintage-esque yellow flowers on the magazine cutting immediately sent me back to childhood and the kinds of patterns that featured on wallpaper, bed linen, aprons and upholstery. I was thinking Cabbage Patch dolls and naive illustrations and the innocence of very early childhood which is so impossible to recapture. 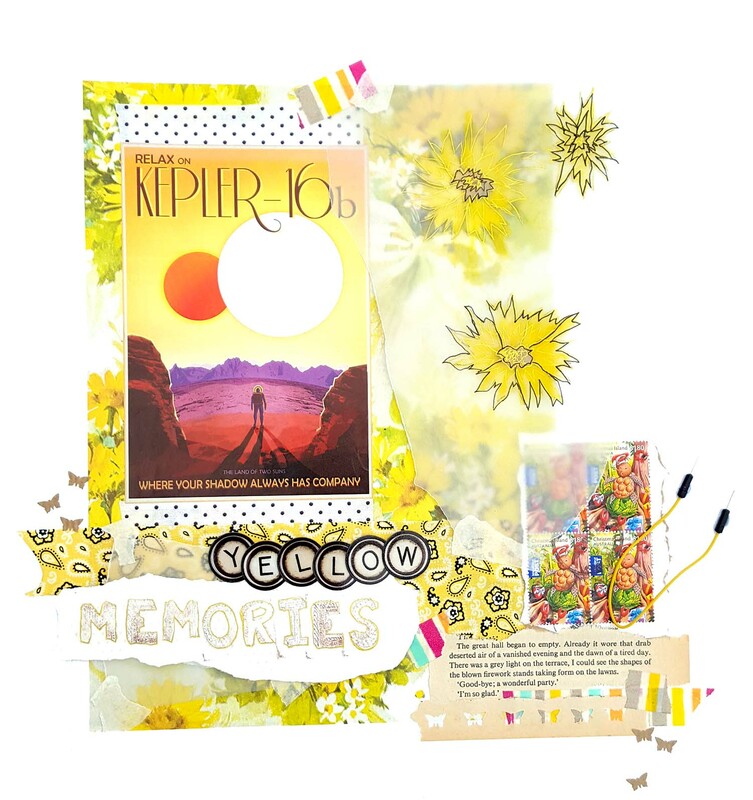 But there's the future too, on Kepler 16b, 'the land of two suns', which felt like an appropriate nod to 'yellow'. And stamps, they go to the future don't they? The great hall began to empty. Already it wore that drab deserted air of a vanished evening and the dawn of a tired day. There was a grey light on the terrace, I could see the shapes of the blown firework stands taking form on the lawns. Find out more and join in with The Collage Club weekly prompts.